Stay up to date on the latest news and events involving our TrueBlue community. Georgia Natural Gas® (GNG) once again recognized a number of outstanding nonprofits serving communities throughout Georgia as part of the 8th Annual TrueBlue Community Awards. Receiving the top honor this year is the Atlanta Music Project. 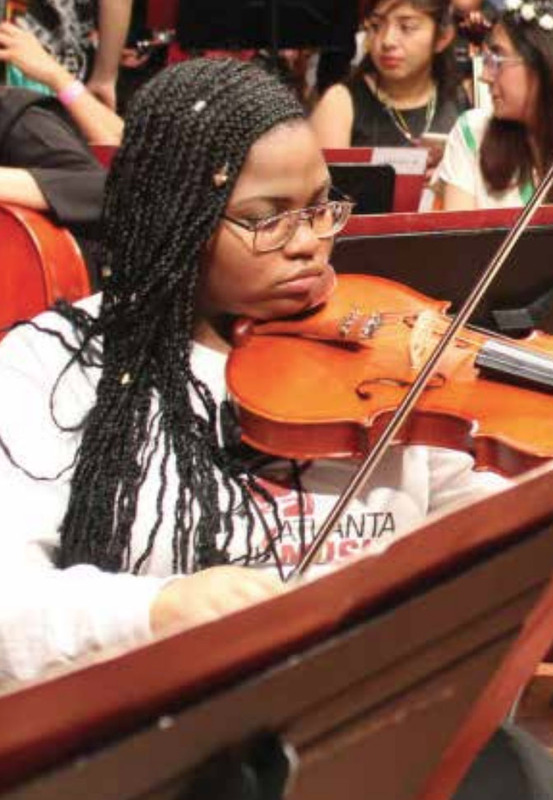 This Atlanta-based organization provides intensive, tuition-free music education to under-served youth throughout Atlanta and the Atlanta Public School district. Other award recipients include Ser Familia, an organization dedicated to strengthening Latino families through programs which empower them to thrive and enjoy a healthy family environment. As well as Second Helpings Atlanta, which aggregates surplus food from restaurants, grocery stores, corporate dining halls, farmers markets and schools — delivering it to front-line agencies that feed the hungry every day throughout the Metro-Atlanta area. Each year, an independent panel of judges from the community selects the winners. We are proud to continue to recognize these well-deserved organizations. This past holiday season, GNG proudly sponsored Georgia Aquarium’s Festival of the SEAson! The event transformed the world-renowned Aquarium into a winter wonderland, including appearances by Santa and SCUBA Claus — along with exciting live entertainment, a tree lighting and Santa events. 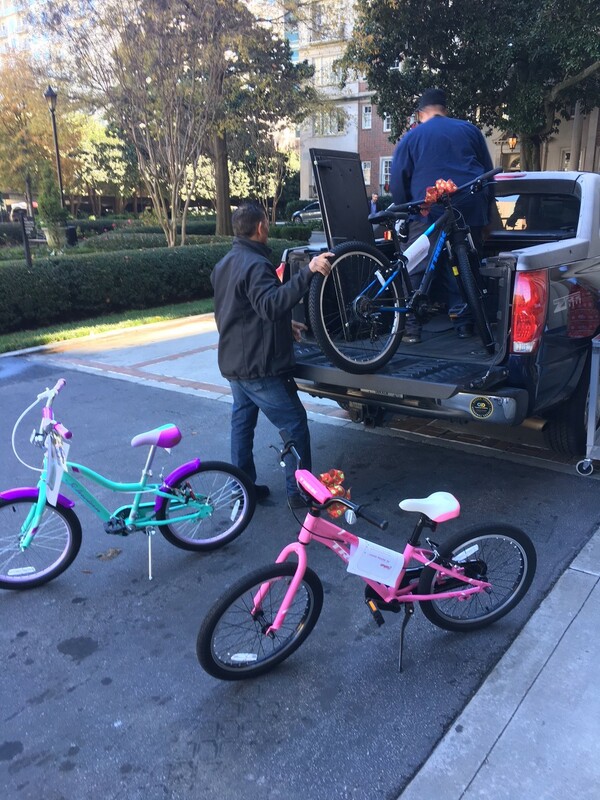 GNG is continuously committed to supporting local organizations. If you missed your chance to visit the Aquarium this past holiday season, the fish are waiting! Visit www.georgiaaquarium.org for more information on current events and tickets. Now is the time to make sure your doors and windows are properly sealed to keep temperatures in the home controlled. Be sure to check behind electrical outlets, pipes along attic hatches and around your chimney as well for air leaks. You’ll also want to check the insulation level in your attic. Proper insulation can reduce heating costs by up to 30 percent! DIRECTIONS:Preheat oven to 350 degrees F (175 degrees C). Pour the chicken broth into a small roasting pan, and set aside. Preheat oven to 400 degrees F (200 degrees C). Melt 2 tablespoons butter in a skillet; cook and stir green onion until softened, about 2 minutes. Transfer green onion to a bowl. Stir in crabmeat, bread crumbs, 1/4 cup Monterey Jack cheese, egg, lemon juice, and dill weed until well mixed. Pour 1/2 cup melted butter in a 9x13-inch baking dish; turn mushroom caps in butter to coat. 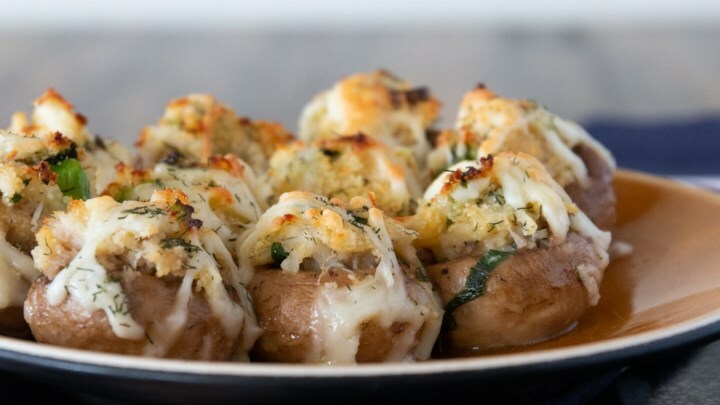 Fill mushroom caps with the crab mixture and sprinkle with remaining 1/2 cup Monterey Jack cheese. Pour white wine into baking dish. Bake in preheated oven until cheese is melted and lightly brown, 15 to 20 minutes.